As Australia’s school year draws to a close, many are thinking about writing reports, summarising in a few lines all that has happened over the school year so parents can see the learning journey their child has undertaken. This examination and accountability is occurring in school libraries too as more and more teacher librarians are being asked to report on the individual progress of students (my opinion of the validity of this is for another piece) as well as to the school community as a whole as evidence is required to show where all the dollars have been invested and the new budget is submitted. In my opinion, the end of the year is too late. The reporter’s hat should be one that is worn constantly with every opportunity to share a story from the library taken. Over the years there have been a number of investigations into and reports about the impact of quality school libraries staffed by qualified teacher librarians and offering targeted teaching programs on student learning particularly since Keith Curry Lance turned the spotlight on in 1994 and has continued to do so. But what has been the impact of these studies? Have they changed the perception of the school library and the teacher librarian’s role within it so that the provision of such a facility, fully staffed and fully funded is a given, a non-negotiable in the learning landscape? Given the constant queries to TL lists such as LM_NET and OZTL_NET, I think not. For, despite all this credible, authoritative, well-documented evidence the role of the TL is still misunderstood and under fire. Old-fashioned and narrow though it may seem, the most effective change comes from the ground up where those who are most directly affected start to own a concept or a vision and want to move towards it. 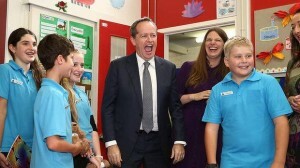 Despite their being nearly 400 submissions from the best brains in the business and 12 media releases when an Australian federal government inquiry into school libraries was conducted in 2010, there was very little public notice taken and very little action was recommended or taken when the final report was released in 2011. Therefore, wearing the reporter’s hat, the teacher librarian is in a perfect position to be educating the community about the importance of the school library, the services it offers and the TL’s role within those. Our students are the reason we are there. We want to help them develop informed, information-literate, well-read adults who can contribute positively to society both now and in the future. They are the grass-roots users of the library’s services and given there are more of them than any other sector of the community, they have the loudest voice. Parents can be your strongest allies and your greatest critics. You start on the common ground of wanting to provide the best education for their child; they volunteer in the library doing a myriad of tasks that free the TL to teach; and they raise many of the funds that are used to build the library’s collection. They also have a powerful weapon – they vote! They have a voice with the most important power-brokers and purse-string holders in your professional lives. And it’s a loud voice – louder than the whisper of one teacher librarian amongst a staff of 30 or more; louder even than the murmur of all those TLs who wrote submissions and the thousands who didn’t but still backed the Inquiry. These are our classroom colleagues whom we know are so swamped with administrative paper work, reporting to parents, curriculum design and delivery, student social work, and extra-curricular activities that they don’t have time to take on board what they perceive to be the extra task of collaborative planning and teaching, and information literacy particularly, as just another subject to try to squeeze into a frantic timetable. They perceive the teacher librarian to be the provider of the resources and when they want them they want them now. They may well have had no experience of a teacher librarian who can offer so much more, so we need to show them that we can lessen their load, not add to it. Research demonstrates that the greatest influence on a student’s use of the school library is that made of it by their teacher. But they won’t use it if they don’t know what it can offer. The most common theme in messages to teacher librarian lists is that “the principal doesn’t understand the role of the teacher librarian” and there is a belief that as principal, he/she should make it their job to find out what it involves. But, just as we acknowledge the workload of our peers, we must also acknowledge the workload of the principal, particularly as new policies and programs are thrust on their shoulders and they are required to do more with less. More and more, principals have the say over the configuration of their staffing and every position will be up for review. If your principal’s perspective is that the teacher librarian is the “keeper of the books” and “who needs a library when you have the Internet” and the whole job can be done more cheaply with a clerical, then your job will be on the line. As far as can be ascertained, there is no requirement for Australian pre-service teachers on prac or their internship to have to demonstrate they have even visited the school library let alone collaborated with the teacher librarian. However, these are the teachers who will take education forward and be teaching our children and grandchildren. They are the decision-makers and the teachers of the decision-makers of the future and given it’s our future they are making decisions about, we need them to be as informed as possible. If a pre-service teacher understands the particular, specialist professional knowledge, expertise and experience that the teacher librarian has then they are going to be looking for and demanding it when they are in their own classrooms. Politicians hold the purse-strings – they are the people who direct educational authorities to implement the big-picture changes like National Partnerships, teacher accreditation, new curricula and so forth. They tie their demands to funding to ensure they get their way. In 2004, then Prime Minister John Howard and Education Minister Brendan Nelson mandated that every school would fly the national flag and have two hours of PE each week or they would miss their share of a $31 billion federal schools package. They are driven by power, economics and votes (and remember the parents have the voting power) but despite public appearances, most are genuine and busy. The role of the teacher librarian is not at the forefront of their responsibilities and many have perceptions based on what they remember of their experiences, however long ago that was. In the US, the Federal Communications Committee is thinking of spending $200 000 000 to train a “digital literacy corps” so there is someone in every school and leisure organisation who can show the students how to use computers properly so they are not ‘time-wasting’ on games and entertainment, even in their leisure time. But if local politicians, actual and would-be, who are the local decision-makers or opponents of them, are kept informed of what it is the teacher librarian adds to the education experience of their constituents and they can see there is the likelihood of votes from parents then they can be powerful allies. In her blog Library Grits Dianne McKenzie has examined the role of the teacher librarian by using Joyce Valenza’s Manifesto to create a pictorial representation of the TL’s role. In the same post she has also included Ruth Buchanan’s interpretation which has a different set of words which reflect the human side of what we do. How can we tell others about what is obviously such a complex role? Know your audience, their interests and needs. Each audience has different interests and needs which shape what you will tell them about, while social networking tools make it easier for you to tell them about it. How to create an awareness of these depends on the age of the students, particularly the use of public social media where those under 13 are not permitted to have accounts. But teaching them how to use the OPAC; how to access Learning Paths or hotlists that are available via the school library’s website; creating and displaying posters of events; creating displays of new resources are all ways that you can spread the message to young students. Older students may access and contribute to a blog for reviews of the latest releases; access and contribute to a wiki that supports their current curriculum; create and access online posters for events and so forth. Involving students in the selection process and having them review their choices or involving them in the hosting of an event and then being the Junior Journalists who report it for the school newsletter not only spreads the workload but also helps them develop a sense of ownership of the library. It becomes an integral part of their school experience. Have a prominent presence through your newsletter, website or social networking and keep them regularly informed of what each class is undertaking while in your care; events; new releases of books or movies and their suitability. Parents are particularly subjected to pester-power and may not realise that something while popular, might be unsuitable. Make yourself or your presence their go-to place for information. Provide homework support with links to curriculum-related websites, YourTutor, safe game sites for each age group; interesting sites that will engage them like Kid’s National Geographic. Provide a parent information lounge both on your website and in your library with information about the school, child development, supporting their child’s literacy and numeracy development, cybersafety, local services and entertainment for children (collect brochures or link to sites), help lines such as the Poisons Information Centre or Lifeline, even appropriate authors, titles or series for each age group for birthday or Christmas lists. Support parent participation programs with literature and practical advice such as how to read with their child; the art of reading aloud; the information literacy process or any other initiative that is happening. Interpret the professional literature so parents understand new pedagogies or programs. Be the pivot on which the relationship between the home and school balances. Review new titles and old favourites (or find them) and share these through your social networking outlets. Open the library during all school events so parents can wander in and see what’s happening. Consider offering it as a child-care space during concerts and so forth. If you are required to write on the reports of individual students make sure your comment is defensible if a parent want to seek an interview. Keep a diary of notes,quotes and anecdotes so you can prepare an annual report that shows them how their child’s learning has been enhanced and enriched and the value they have had for the money invested in the library, its resources and its staff. That is the focus, not stats about circulation and loss rate and so forth. Conduct an Information Needs Audit and find out what their priorities are and how they would like them delivered. Be pro-active and take every opportunity to find out what’s coming up in their program that you can support this with physical and online resources – develop learning paths, pathfinders and hotlists, and give them catalogs to browse for suggestions for collection development. Let them know what you have gathered and how these can be accessed. Offer to write a statement about how the library has contributed to students’ learning for reports. Be their professional learning scout. Co-ordinate a program of professional learning opportunities to develop information literacy and ICT skills, such as how to use the databases. Provide a summary of instructions or a list of Web 2.0 tools that support a particular strategy or Bloom’s Taxonomy Help them understand the SAMR model so they can prepare more effective lessons. Introduce them to tools such as online scheduling apps that will make their administrative tasks easier. 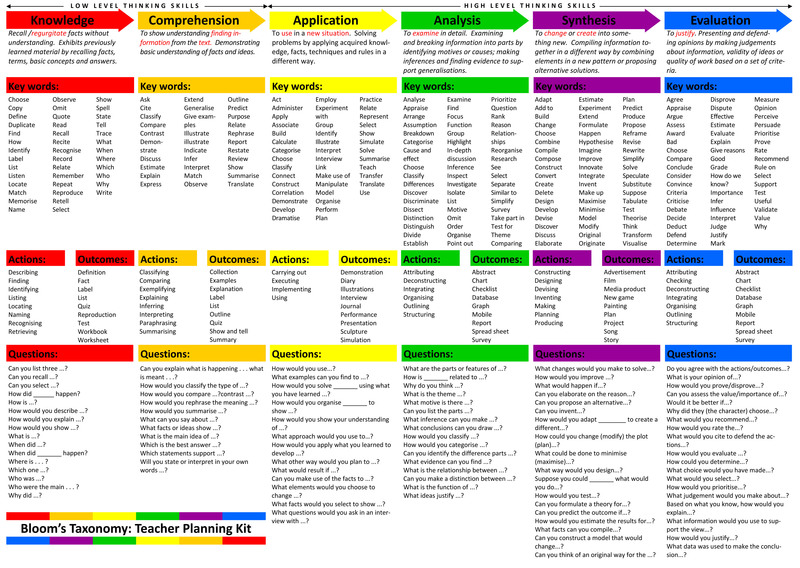 Share teaching tools that will assist their planning such as this Teacher Planning Kit for Bloom’s Taxonomy or this new take on the KWH chart. Monitor listservs and other professional services for information about upcoming events, conferences, professional learning opportunities, programs and competitions their students could be involved in and so on and email these details to individuals directly. Offer the library as the venue for displaying the class’s work on a theme or invite classes to develop a display on a mutually agreed theme. Look for ways that student work can be seamlessly integrated into what is happening in the library. Whenever the media or politicians go to a school, they always go to the library – have it loaded up with student work. preparing a detailed budget in advance of the preparation of the school’s budget identifying the priorities and how these have been determined. Apart from demonstrating your professionalism, it enables the principal and those allocating the money to be aware of your needs so they can make informed decisions. organising events like Literary Luncheons, author visits, Book Week celebrations and so forth. As protocol ask permission and keep the principal in the loop. Invite the media to such events -it always makes the principal look good. anything that shows the range of duties you undertake that is not a load of meaningless statistics. Because pre-service teachers are in the school for such a short time we really need to get in early, but they are often on information overload with their head moving like Noddy’s. So greet them on their tour of the school and give them an information pack that has the essential information about what you offer, how they borrow and so forth. a form they need to fill out to get borrowing privileges (so they are responsible for what they borrow not their associate teacher) which includes contact details for after prac is finished. You might also want to make it clear that their prac report won’t be signed until all loans have been returned. include a bookmark or some other freebie (even a chocolate frog), to add to the atmosphere of friendliness. Set aside a time (even if it’s a recess) early in the prac when they can show you what they need to achieve and how you can help them do this, either with resources, ideas or collaborative planning and teaching. Make sure they know that the resources are not limited to print and that services are not limited to circulation. This may be their first experience of working alongside a teacher librarian and if you do it well, they will be looking for the same support in their next school and when they have their own class for the first time – knowing that there is a colleague whose core business is to collaborate and support can be the rock on which they base that first year on. If you live near a university which offers a B.Ed program, get to know the staff and offer yourself as a guest lecturer to explain and demonstrate information literacy. Given that the new Australian Curriculum has its inquiry aspects built into each strand, teachers are going to need to know the language we are speaking to the students so that there is uniformity and conformity not confusion. Politicians love to be seen as being ‘in on the action’ which is attracting their constituents. They love an opportunity to be seen and talk and getting them on your side is imperative. Be apolitical and put your personal preferences aside. Don’t limit yourself to the sitting member – wannabes need to get their names into the community so people recognise it on that election sheet, and those in Opposition love to be informed enough to ask Questions in the House. Build up a positive relationship so when the politician needs a school for a photo opportunity, a launch, a place to place funds, it’s your name and face that come to mind. But first, make yourself aware of any school or education-authority protocols that need to be observed and adhered to. If there is a particular policy or program that is really going to impact on the teaching and learning at the school, make an appointment and visit them. Be prepared and demonstrate how the issue will affect the families in the electorate rather than your employment. Keep in mind that votes talk and there are more parents than teacher librarians.